The Round Pedestal Coffee Table provides a crowd-pleasing gathering spot for playing board games, TV watching, serving drinks, and sharing hors d'oeuvres. 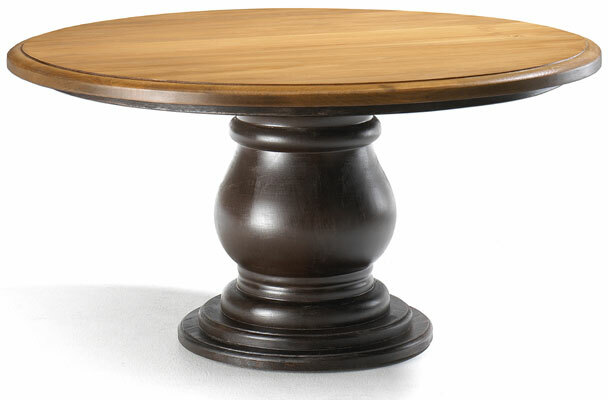 The 40" round cocktail table features a grand onion base that is turned from a solid block of hardwood. 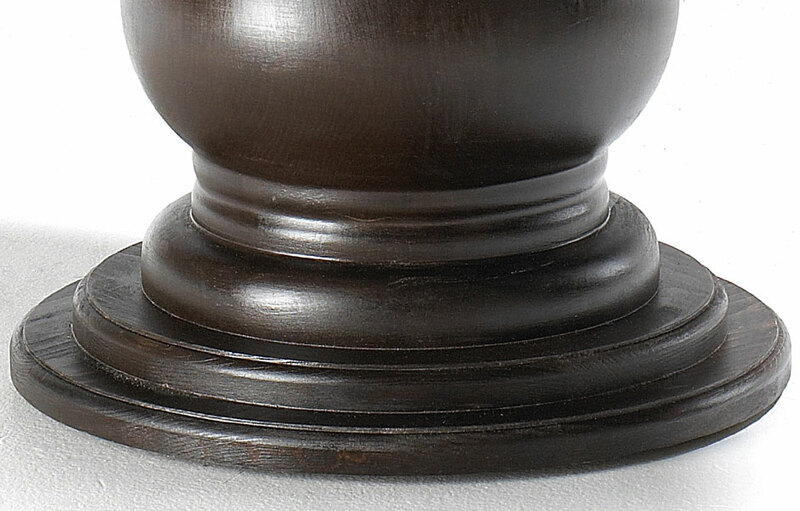 The table top has an elegant knife-cut edge detail. The table has a 22" comfort height for easy access to the table from a sofa or chair. Round coffee tables add fluidity to a room. They provide a crowd-pleasing gathering spot for playing board games, TV watching, serving drinks and sharing light hors d'oeuvre. 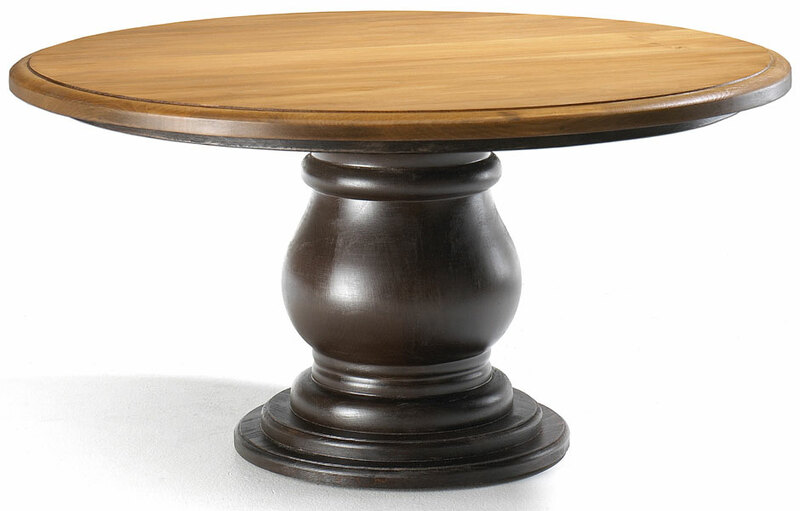 The Provence Round Pedestal Coffee Table is a signature addition to any living space. The 40" round cocktail table pairs beautifully with a sectional, or as the focal point in the center of a grouping of sofas and chairs. 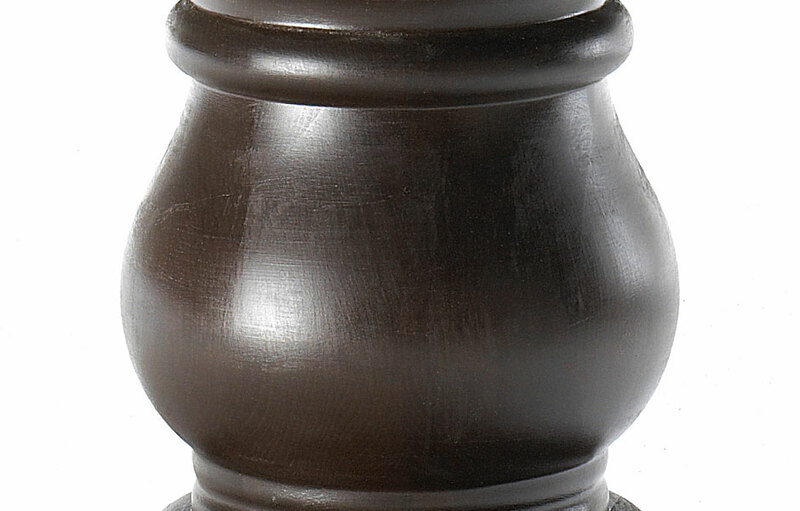 The grand, solid hardwood onion base adds exceptional detail to the low-profile table. The top has an elegant knife-edge cut adding to the French-style of the coffee table. The top has a contoured apron around the base of the top. The top of the coffee table is water-sealed to prevent water rings, and for daily use. The sturdy, solid wood table will stand up to years of wear, and gain time-worn character. The 22" high cocktail table is a comfort height to access the tabletop while sitting on a sofa or chair. The round low table can be painted in a classic two-tone finish with a stained top and painted base, or all-over one color finish. The Provence Round Pedestal Coffee Table complements French Country, English Cottage, Farmhouse, Rustic, Transitional and Traditional style decors.